Ketchikan: University of Alaska Southeast Ketchikan Students to Graduate - The University of Alaska Southeast Ketchikan announced that twenty-four students will be receiving degrees this spring. The 2011 commencement ceremony for University of Alaska Southeast (UAS) Ketchikan students will be held Saturday, April 30 at 3:00 PM at the Ted Ferry Civic Center. The public is invited to attend. Alaska: Begich Calls for Energy Action Now; Commonwealth North speech focused on short & long-term plans - Noting that rising energy prices are putting enormous strain on Alaskans’ pocketbooks, U.S. Sen. Mark Begich (D-AK) emphasized the need for elected officials and others to focus on both short and long-term plans to save on energy costs. In a lunchtime speech yesterday to Commonwealth North, one of Alaska’s leading public policy organizations, Begich announced plans to introduce the Family Account to Save on Transportation (FAST) Act. Modeled after medical savings accounts, which allow individuals to set aside pre-tax dollars for medical costs, the FAST Act would allow employers to set up pre-tax transportation savings accounts to help offset the pain of high gas prices on Alaskans. “With gas prices already more than four dollars a gallon, the average price is more than 95 cents higher than this time last year. In addition to focusing on long-term solutions for energy prices, the FAST Act could bring some short-term relief, allowing Alaskans to put some pre-tax money aside to help offset those costs,” Begich said. The FAST Act would be designed to expire in two years so there would be no long-term burden on the federal budget. SE Alaska - National: Gulf oil spill similar to Exxon Valdez in initial social and mental impacts, study finds - The BP Deepwater Horizon oil spill caused social disruption and psychological stress among Gulf residents that is similar to the aftermath of the Exxon Valdez spill and the impacts are likely to persist for years, a new study finds. "Just ask the residents of Cordova today whether they are over the Exxon Valdez," said study co-author Liesel Ritchie, assistant director for research of the University of Colorado Boulder's Natural Hazards Center. 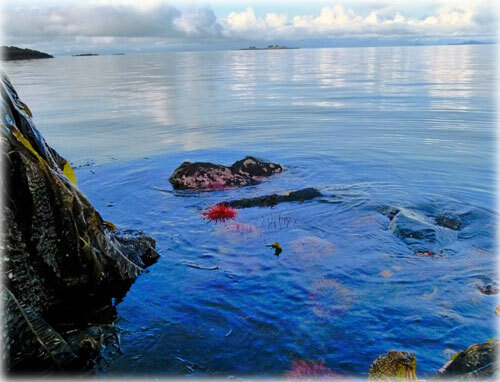 The Alaska community was considered "ground zero" for the 1989 oil spill. Southeast Alaska: NOAA LAW ENFORCEMENT TO HOLD PUBLIC MEETINGS ON 2011 CHARTER HALIBUT REGULATIONS - Officers from NOAA's Office of Law Enforcement will hold public outreach meetings in several Southeast Alaska communities next month to discuss 2011 charter halibut fishing regulations and answer any questions from concerned parties. Wrangell: Annual Stikine River Birding Fest Gearing Up – Visitors from all over Southeast Alaska will migrate to Wrangell this spring for the Annual Stikine River Birding Festival, taking place April 28 through May 1, 2011. Wrangell is the gateway community for the Stikine River Delta, where the arrival of thousands of American Bald Eagles creates the largest springtime concentration in North America. The festival is also the perfect opportunity for adventurous birdwatchers to observe millions of shorebirds, which migrate to the delta each spring. This delta lies within the Wrangell Ranger District of the Tongass National Forest. Alaska Science: Visiting a far north ice cellar By NED ROZELL - As charter pilot Dave Lorring taxis a twin-engine Piper PA-31 Navajo through a dogleg in the Kivalina airstrip, he sees resident Perry Hawley waiting on top of a snowdrift with a snowmachine and a sled. Kenji Yoshikawa and Kivalina resident Perry Hawley pry the top from an ice cellar. As soon as the Navajo props stop spinning, out jumps Kenji Yoshikawa, there for one of his patented science hit and runs. Yoshikawa is soon kneeling on a long wooden sled towed by Hawley, who heads for a few wooden tripods standing on the white arctic plain outside town. The tripods mark the locations of three ice cellars - “sigluaqs” in Inupiat - chipped into the ground as a means to preserve food. “This is the biggest cellar of the whaling communities,” Yoshikawa says as he and Hawley remove wind-packed snow from a half sheet of plywood that covers the cellar entrance. Yoshikawa, a permafrost scientist at the University of Alaska Fairbanks, has climbed down ladders into ice cellars of every northern Alaska community that has them - Kaktovik, Barrow, Nuiqsut, Wainwright, Point Lay, Point Hope, Gambell, Savoonga, Wales, Kivalina and Little Diomede. People in the northernmost villages dug the chambers into ground that remains frozen all year to preserve chunks of bowhead or beluga whale. Villagers south of Point Hope use the ice cellars more as refrigerators to help them ferment walrus and other favorite foods. After some chipping and digging, Yoshikawa reaches a second square of plywood that seals the entrance to the ice cellar. With help from Hawley, he levers it up and sets it aside, revealing a gorgeous growth of matchbook-size ice crystals underneath. For the first time in months, sunlight strikes a ladder covered with ice that extends 20 feet to the frozen floor of the sigluaq. The ladder is encased in icicles as thick as Yoshikawa’s legs, making some of the rungs impassible.